Gurgaon-based digital media conglomerate Smile Group has been at the forefront of launching a string of e-commerce portals in India over the past two years, such as Dealsandyou.com, Fashionandyou.com and BeStylish.com. And with the launch of its latest venture Freecultr â€“ a site that sells its own brand of apparel and accessories online â€“ it is quite obvious that the group feels there's even more juice in the fast-evolving e-commerce segment in India. Although the industry has witnessed a few setbacks with portals like Taggle and Vamoose shutting shop, the group has managed to raise around $65 million across its four online properties in 2011. 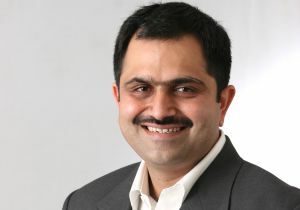 In an exclusive interview with Techcircle.in, group chief Harish Bahl discusses how he is trying to make Smile a platform for soft-launching entrepreneurs, his take on the fundraising climate for e-commerce, the future of Indian e-commerce and the new areas of opportunity. Here are the excerpts. Let's begin with the group's latest venture Freecultr. Why did you launch another e-com site in a similar business domain (apparel & accessories) when you already run Fashionandyou? It's like saying why a Wills or a Mango when you already have a Shoppers Stop. Fashionandyou is a retail platform but Freecultr, itself, is a fashion brand. Unlike most brands which are born offline, Freecultr is one that is born in online space. I wish to make Freecultr a global brand and the Internet will allow us to do that. But how do you manage to focus equally on all the e-commerce sites the Smile Group has "the above four, as well as Zoomtra.com and HealthPA? For us, there is no business in a site which doesn't have an independent and dedicated two-layered management structure. For every business, we have got 2-3 founders and co-founders who are one hundred per cent entrenched into that business. So it works very well because I am able to balance out things across the portfolio, share the learning and create a lot of leverage. Also, our second layer of management is extremely focused. Do you see Smile evolving as a group holding company and want to look at separate fundraising at the top level? Not really, because all these businesses are independent entities with separate management teams and different partners. The Smile Group is not synonymous with e-commerce. It is synonymous with entrepreneurship in the e-commerce space. The Smile group, as a whole, has raised a lot of money over the past year or two. Going forward, how do feel about the VC funding scenario in e-commerce space? Not only Smile, but a lot of other companies have also managed to raise a lot of money. And that's because the long-term fundamentals of e-commerce in this country are really strong. I am telling you this because each of these companies has proven itself. Secondly, organised physical retail in India is still at a nascent stage. It will take donkey's years to set up proper infrastructure to facilitate the growth of physical retail in a big way. On the other hand, the digital infrastructure is growing much faster. Although value-based commerce is the first wave of adoption, convenience is actually the one that ensures long-term benefits. The market size is also very big here. All these explain why VC interest is increasing so fast in this industry. It's all right to run fast and grab the market share. That's important, of course, but we must also know in which direction this market is going or whether it is really on the path of profitability. A few sites like Taggle and Vamoose have shut shop and questions are being asked whether we are already seeing a shakeout. What do you think? These things should not depress us at all. Look at the Silicon Valley, for instance. Behind every successful company, there had been so many unsuccessful ventures before they finally worked out. If we had gone on thinking in that way, taking precautions at every step, we would still be living in the Stone Age. For many successful inventions, there had been many unsuccessful trials as well. We only need to worry about the fact whether this sector (e-commerce) is going to be big and I am sure it will be. Companies will come and go, but the segment will be huge. Also, there are a few fundamentals in this industry. A set of companies might be going into insolvency and some of those might not have any other option but to shut down. But some of them may feel that consolidation is a good option to create bigger entities. Finally, those who are the category killers will be really big. One company may shut down, but that doesn't really change the fundamentals of our industry. We have also observed that quite a few Smile employees have left the group to start their own ventures. Is that a conscious effort to build the group as a platform to support entrepreneurship? From Day One, our dream has been to create a platform for entrepreneurship. And yes, we kind of sorted things out very well. Now, we have a complete ecosystem where the top layer (by top layer, I don't mean senior people) happens to be an interesting bunch of entrepreneurial people â€“ people who are energetic and do a lot of sharing. Perhaps, it is this culture that makes all of us at Smile really proud. Another interesting thing I would like to share is that all my direct 'reportees' agreed to salary cuts when they joined us. But that doesn't mean that they are not up to the mark. In fact, they are a very energetic lot. They have joined us because we have got lots of positives including a solid support system, in terms of living and non-living resources. The spirit within us is always vibrant â€“ it's self-growing and self-nurturing. I will feel happy and excited if all our partners and entrepreneurs stay with us, not only for their first ventures but also for other ones. But if someone wants to go solo and do something on his own, we feel happy and proud. That's our culture. Would the Smile Group invest into other firms without buying them out (in other words, will you do an Info Edge)? We are not a pure VC firm, but we don't mind investing in our ventures. In fact, we have supported our companies and most of them have got the seed money from us, either in cash or in kind. But our business is different and we don't like to function as VCs do. Yes, we partner with venture firms and bring a different sauce to the whole recipe. It is something unique that we have been able to create â€“ we have created a bridge between entrepreneurs and VCs. We will do whatever we can to keep the entrepreneurship platform alive. And a little bit of investment will be an effective ingredient to keep that platform alive. What challenges are there for e-commerce in the coming years? Creating the profitability path for these businesses is a key challenge. And the other one includes mass activation of consumers who are not on the digital medium yet. Till date, all successful e-commerce companies have kind of created their own users. For example, when the IRCTC site came up, a lot of people opted for Internet access just to use the IRCTC. It can't grow at 20 or 30 per cent year-on-year; some disruptive growth has to happen. What will be the e-commerce trends in 2012? I feel that a new wave will come now and subscription-based commerce models or models hybrid in nature (for instance, a combine of offline and online retail) will gain traction. Talking about the changes in the medium, I would say that the convergence of any retail with any type media (mobile, kiosk or television) is something where the market is headed to. What about your business outside the e-commerce arena? What should we expect from Smile's stable in 2012? Smile Group is already doing a lot of things. And mobile will be a big focus this year.